Rosemont Ridge Middle School is the only middle school in the West Linn-Wilsonville School District set to compete in the Feb. 3 regional science competition, an event that determines who will represent the region in the middle school national finals of the U.S. Department of Energy National Science Bowl. Similar to spelling bees, even "Jeopardy" some might might say, the science bowl is a competition where students answer questions — both individually and collaboratively — about math or science using a buzzer system. There will be one or more teams from 29 schools competing in the regional competition, and each school will have two five-person teams, allowing four students to participate at a time with a substitute. There will be four rounds of competition against four different schools. The teams that score the most points and win the most matches will advance to a round-robin tournament. "Our school has never made it that far because most teams that go on that far are practicing every day — their parents are having them read college textbooks — so it's pretty intense," science teacher Jessamyn VanHook said. "Like kids in the spelling bee who want to win the spelling bee, there are some teams that are at that level, and our group, they enjoy and they work at it but they're not spending all their free time studying." This will be Rosemont Ridge's fifth time competing and everyone on their 19-person team — almost double last year's team — is new. "It's an enrichment class kids sign up for because they like science and math, want to learn more, have fun and be with people who like to answer science and math questions," said VanHook, adding that this year only the eighth-graders will compete because of the increase in team members. In previous years, they had sixth-, seventh- and eighth-graders attend the competition. 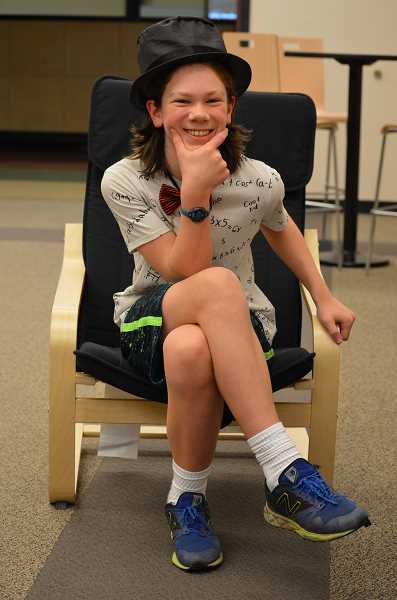 Seventh-grader Connor Whelan is looking forward to his team beating everyone else, even if he won't be a part of the competition himself. He said he wants to learn more about science this year so he can come back next year and actually compete. On the other hand, eighth-grader Leanne Beltman is nervous, but also very excited to be a part of the competition. 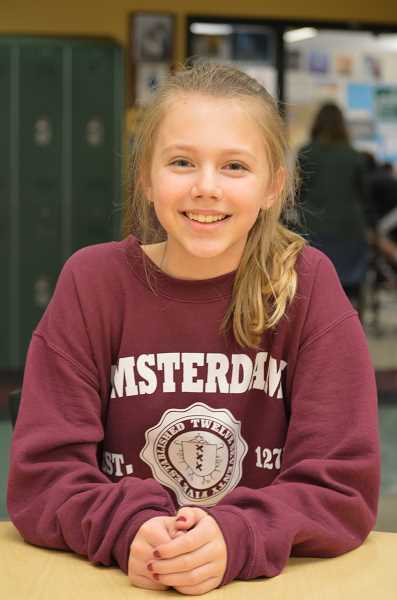 "I've probably read my way through two or three different textbooks that my mom had about medical stuff, human anatomy and some stuff about the planets just to get more knowledgeable," Beltman said. "I am really excited to compete against the other teams and to compete with this team because we've been working really hard." So far, the Rosemont team has been preparing for the competition at University of Portland by practicing against each other. They have been using a similar buzzing system and have been practicing answering questions and formatting their questions based off previous year's questions provided by Bonneville Power Association. "So questions about anything from naming what kind of glacier makes this pattern in a valley to which scientist discovered the microscope. It's kind of everything under the sun," said VanHook, adding that there are categories in earth, life, physical and general sciences. Students will also need to solve math equations. She said the competition covers facts students have learned in class and then it goes into depth and specifics teachers might not have covered in class. 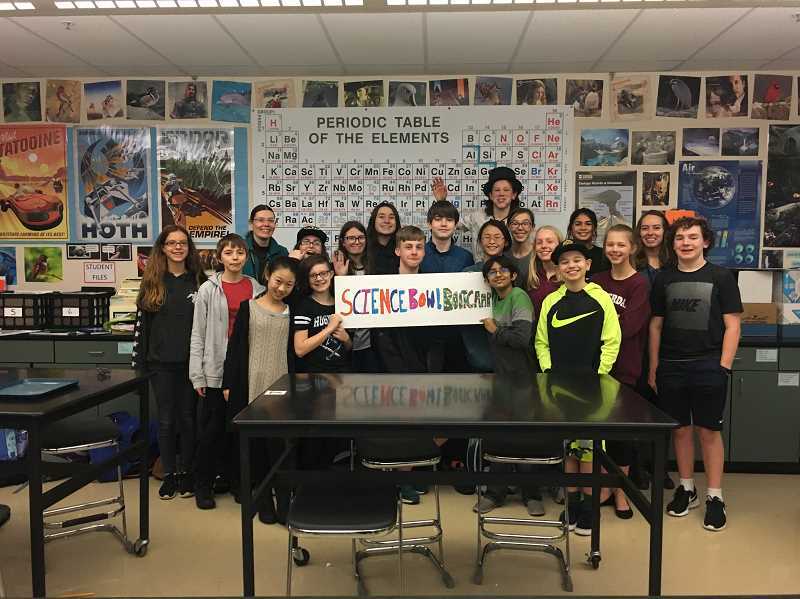 Also part of the competition is a video contest where the various schools can create clips about why they like the science bowl, essentially creating an advertisement for it. The winning team will receive money for its science department. "(The students) made a video for the competition and it was one of the best brainstorming situations I've ever had where everybody honored each other's ideas. ... They were really proud of their video; they might win. It's pretty funny and really clever," VanHook said. "Hopefully we'll do really well but I know there are other teams that are preparing at a level that's beyond ours."